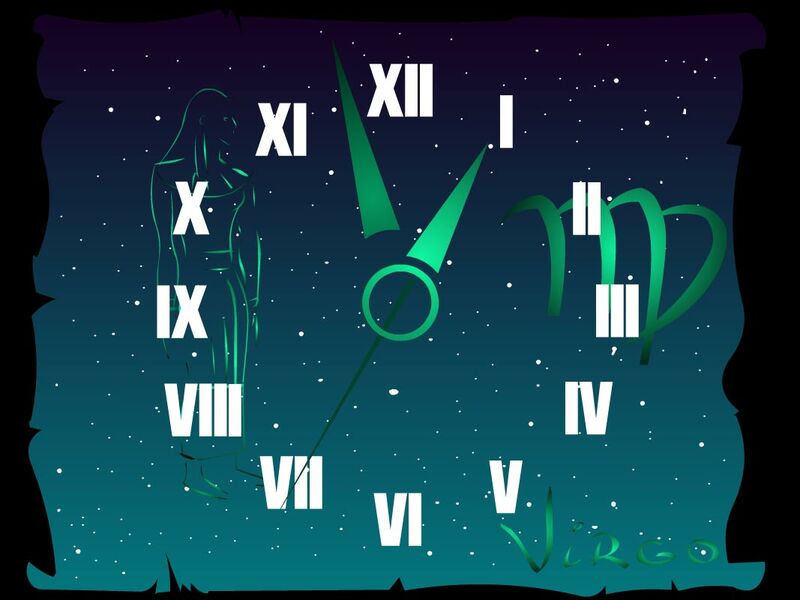 7art Virgo Zodiac Clock screensaver: magical clock talisman for Virgo zodiac sign. Virgo Zodiac Clock is a magic talisman for whose of us born from August 24 to September 23. It brings luck and happiness and it's a nice free desktop clock screensaver as well.